After rapidly traveling across Europe for over a month, it was time to get serious and figure out what the hell I was doing. I’ve always planned everything very thoroughly, but this trip was different. I suppose I also tried to mask my laziness with spontaneity. 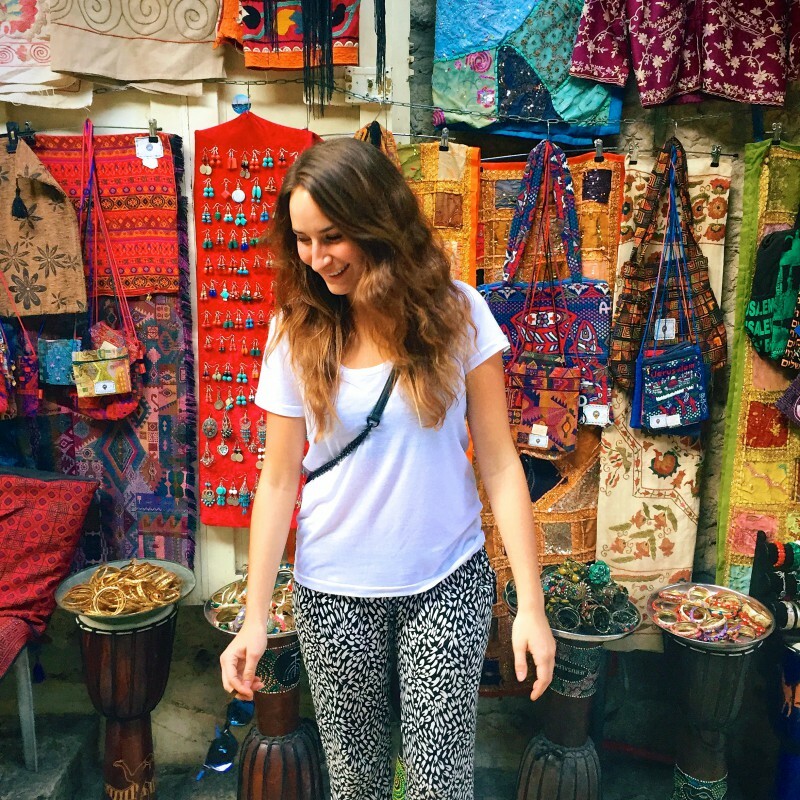 I didn’t plan for legal issues, travel complications, or financial circumstances – I just wanted to see the world. Ignorance is bliss, right? So when I arrived in Italy, I knew I needed to make a plan. Subsequently, that’s when reality sank in. After a lot of research, I realized that I had to be back in America by Christmas Day if I was to stay in the Schengen Area of Europe. I hoped to travel for longer than ninety days, but now my main priority was figuring out how to stay for the holidays. I had to buy time and pick a country fast. I started looking all over the world at hundreds of trains, boats, and flights. It was last minute, I wasn’t prepared for anything, and I had a very short travel window. I found a flight and booked it before I could even think about what I was doing. Three days later I was in Israel. After a long travel day consisting of extreme weather delays, dealing with the excessive security at Ben Gurion Airport, and getting lost outside of the HaHagana train station; I finally arrived to my hostel. I sat above the city on the rooftop terrace and just stared into the darkness of the night. I was a bit delusional from my flight, so I finished up my work and eagerly went to bed. Israel was the first international country I ever visited, so being back was nostalgic yet oddly intimidating. I woke up and returned to the terrace, this time staring at the now illuminated city encompassed by the distant Mediterranean Sea. Even though I was surrounded by a ton of other travelers, I was a little shy because I was a bit out of my comfort zone. I sat there blankly scrolling through my phone when I overheard a few people talking about heading to the beach. I looked up to see who was speaking when I accidentally made eye contact with him. I awkwardly smiled and he warmly invited me to come along. I looked around and suddenly everyone was smiling and gathering to go. Within minutes, we had a huge group together, all walking down the road. We tanned, swam, and swapped some bizarre travel stories in broken English. After the beach, a few of us split off for Happy Hour at Perla Bar before stopping at Changos for some impressively delicious carne asada burritos. We quickly regrouped back at the hostel before heading out to the club. Later, a handful of us blindly followed a volunteer from our hostel to this abandoned looking building. I looked down at my sandy converse, my cuffed skinny jeans, my casual t-shirt and just laughed. Usually if I’m going to a club, I’d try to dress like I didn’t just roll out of high school. I had no expectations, no idea where I was, and I wasn’t really sure what I was getting myself into. A little bit of muffled music made it’s way through a long corridor as we navigated our way to the courtyard. Suddenly I was blinded by bright lights, loud music, and essentially the entire city squeezed into a two story outdoor club. We grabbed some cocktails and made our way into the sticker room. Yes, you read that correctly, there was an entire room strictly dedicated to stickers. We covered faces in tribal patterns and squeezed our way to the dance floor. There was great music, a strange crowd, and enough stickers to entertain thousands. After an amazing first day and an even better evening, I really didn’t want the night to end. So as we were all heading back to the hostel, I managed to drag the whole group back to the beach for a late night swim – which actually ended up being a lot of fun. 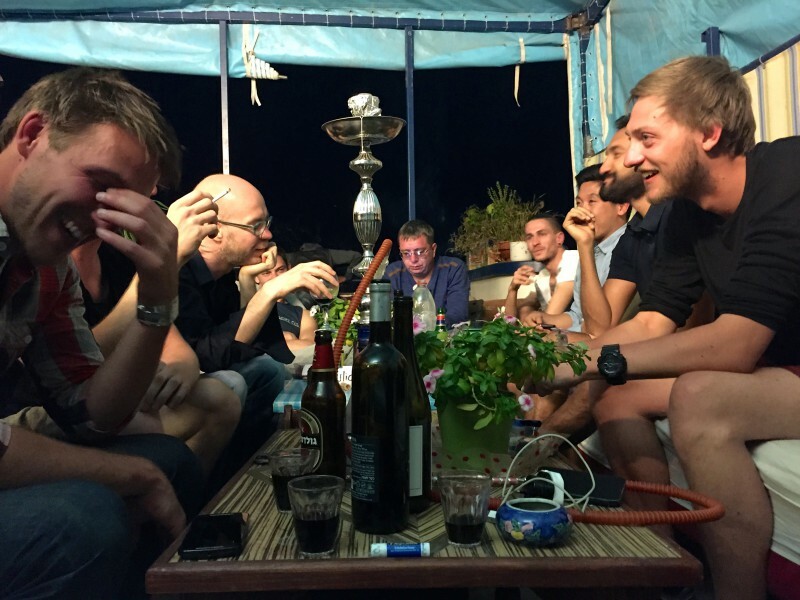 The next few days in Tel Aviv flew by, our hostel crew became really close and we did everything together. We walked through the old streets of Jaffa, relaxed on the beach, shopped at the Carmel Market, and ate as much hummus and pita bread as was humanly possible, all before leaving Tel Aviv. 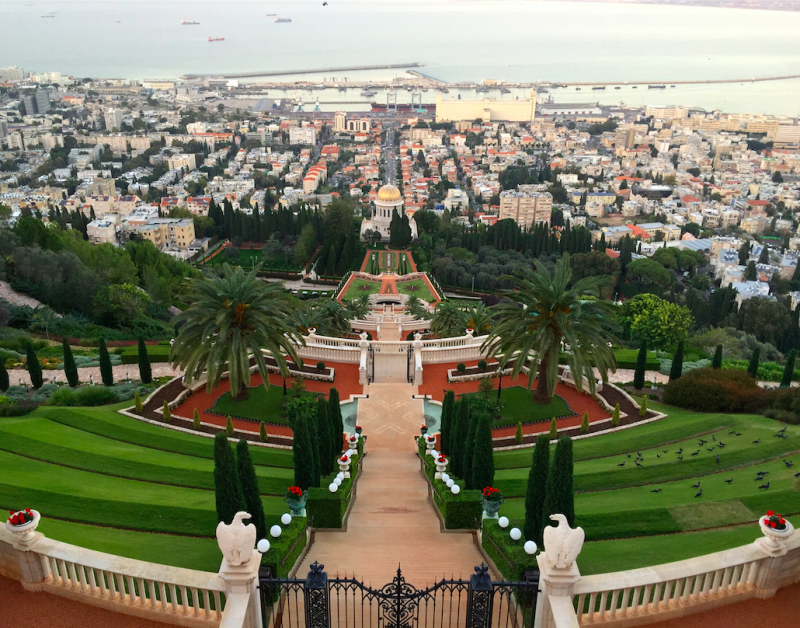 A few of us took a train up the coast to Haifa to explore The Bahá’í Gardens, making it to the top just before sunset to watch as the colors of the city changed from the diminishing sunlight. We trekked back down the hill to the boardwalk filled with tons of restaurants and bars, and treated ourselves to a nice dinner. Our group then became even smaller as a few of us left for Jerusalem. The next morning we took a quick walking tour of The Old City before sprinting through the bus station to make the last bus to the Dead Sea. Eager to find some natural mineral mud, we went to the Ein Gedi Spa. We dug straight into the ground and covered ourselves head-to-toe in cold, rocky, gooey mud. We soaked off the mud in the salty sea and floated atop as we watched the sun set behind Masada. After a much needed, therapeutic day we bused back to Jerusalem for delicious Shakshuka and Israeli wine at Tmol Shilshom. While we were out, we explored the streets and late night markets before heading back to the hostel. The following morning we returned back to The Old City to explore even further, unfortunately the previous walking tour had hardly scratched the surface, so there was a lot to see. Before I left for Israel, my friends and family were a bit nervous because of the situation Israel is in. When I traveled to Israel my first time, I was protected and escorted by IDF soldiers the entire time, so I never faced any danger. Unfortunately when I returned, that wasn’t the case. After walking around all day, my friends and I stopped at an outdoor cafe for a couple beers. We were laughing and relaxing when suddenly a bomb exploded. Luckily, the explosion wasn’t close enough to physically endanger us, but it was loud enough to emotionally shake everyone within the immediate area. I looked up and froze. A group of soldiers were sprinting toward the explosion and there was a visible panic around us. I turned to my friends, attempting to gauge their reactions. Which way were we going to run? Where do we go? Why haven’t we moved yet? Why isn’t anyone moving yet? What the $%^& is going on!? My friend turns to me, smiles and asks me, “Are you ok…?” To which I replied, “What do you mean am I ok! ?” It was then that I realized that nobody seemed to care anymore, after the initial shock diminished, it was as if the explosion never happened. I must have been pale in the face because suddenly a waiter was offering me water and asking my friends if I was ok. I slowly nodded and instead asked for another beer. I quickly gulped it down and suggested we immediately leave. 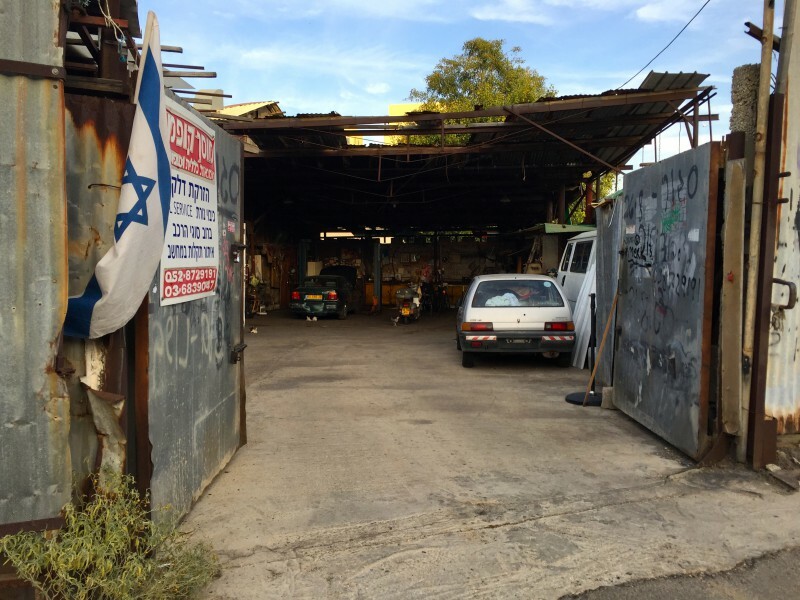 We caught a ride back to Tel Aviv and I began to breathe again. 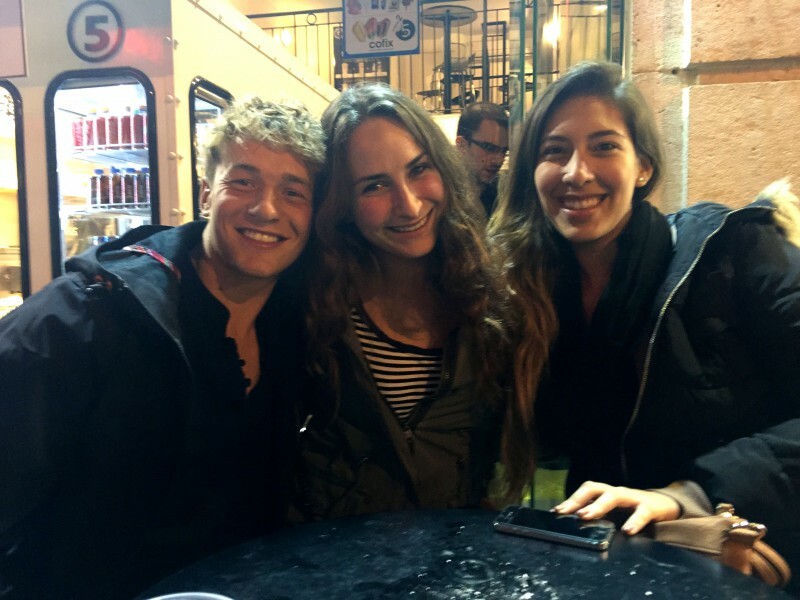 Later that night, I met up with some old friends from my birthright program at Rothschild 12. A few more drinks, a tasty meal, and good company removed the edge from the day. It’s always amazing to see familiar faces in foreign places, especially after nearly three and a half years apart. In 2011, I wasn’t sure that I would ever see these people again, let alone have thought I’d see them so soon. Traveling really makes you realize how small this massive world is, and really, returning to these places isn’t as hard as we all make it seem. For my last day in Israel, I slept in and relaxed all morning. My friends had all either headed home or off to other cities, so for the first time since landing, I was on my own. I walked down to the beach and just relaxed and tanned one last time before packing up and heading to the airport. I grabbed a blended Aroma coffee and sat at the window of my terminal, just reflecting on the week I had in Israel.